Cosco CEB-JK-2060 A Exercise Bike is a residential exercise bike. This exercise bike has superb features like 8 range height adjustable, ergonomics seat, hand pulse , 8 range tension adjustment and big LCD with 6 programs. It has 250mm flywheel and heavy gauge magnetic brake speed control. Assembly Size : 1050 x 535 x 1140 mm. One piece crank with bearing for smooth operation. 8 ranges height adjustable and ergonomics seat for comfort. With motor drive 8 ranges easy to read tension adjustment. With 1 big LCD with 1 manual & 5 preset programs pluse target heart rate control, body fat & recovery displays speed/RPM, time, distance,calories and pulse. ToughTrain 3.0 out of 5 Have few average features. Can be a best buy if you are looking for a normal daily exercise. *Note: Most of the sites, stores or shopping portals listed above sell Cosco CEB-JK-2060 A Exercise Bike with discounts and other exciting offers. 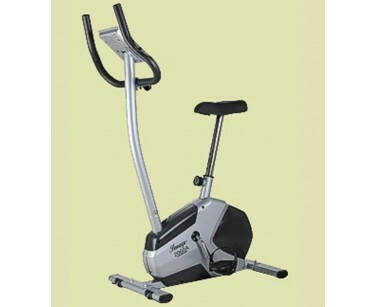 There is a possibility that the some of above websites are not selling Cosco CEB-JK-2060 A Exercise Bike now. Toughtrain.com is not liable for such cases or instances. Also we do not recommend any seller for Cosco CEB-JK-2060 A Exercise Bike and a buyer should buy from where he/she gets best deal with quality of products, service and on time delivery (shipment).